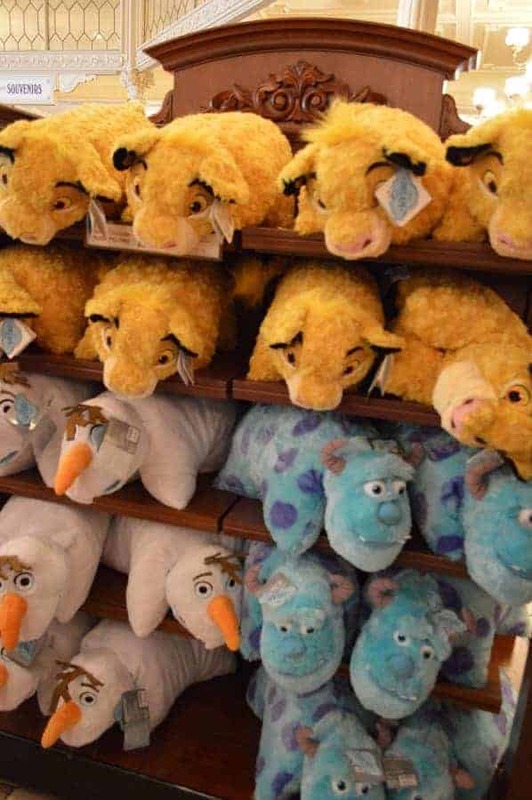 If you are going to Disney, you are probably going to want to buy at least one souvenir to help you remember the magical time you had at the parks. 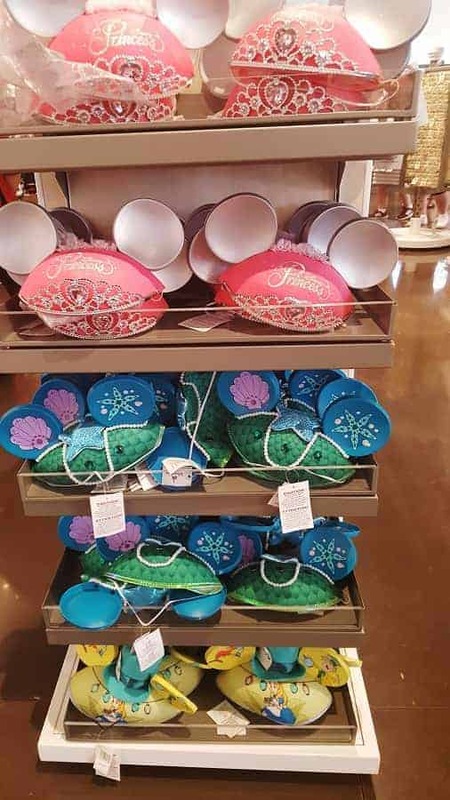 It is easy to be overwhelmed by the amount of merchandise you will see at all of the shops both on resort, at Disney Springs and at the theme parks. While most of the shops carry the same or similar merchandise, each also has certain items that are specific to their location. 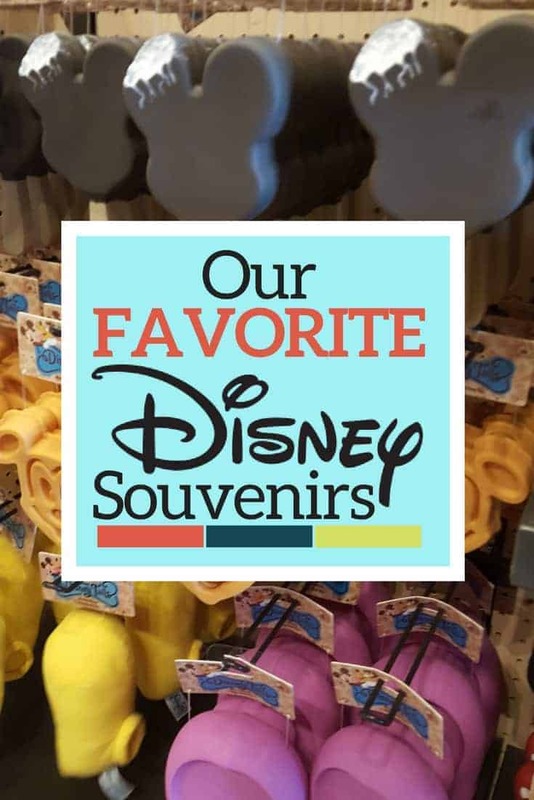 If you are wondering what items you might find at Walt Disney World or what you should consider buying while there, we have compiled a list of our favorite Disney souvenirs for you to consider. These pressed pennies only cost 51 cents each and the can be found throughout the Disney parks, resorts and you can even find them at Disney Springs. Each kiosk has different Disney Souvenir pennies to choose from! You can also find Pressed Penny books at most of the gift shops. All girls love wearing their favorite princesses on jewelry. These charm bracelets and necklaces are fairly inexpensive and the best part is that you can add charms each time you visit the park! There are many different charm designs to choose from. Bracelets & necklaces are around $10 in the shops and charms are $5 each. Kids love collecting and trading pins in the Disney parks and they are probably one of their favorite Disney souvenirs. You can choose pins marking your favorite ride or special occasion. Individual pins can cost between 6-15 dollars each. To get the most bang for your buck, you can purchase a mystery packs that contain more than one pin. You won’t know what pin you will get, but half the fun is trading them anyway! Many first time visitors to Disney buy the traditional Mickey Mouse ears. They are super cute and come in all different styles. Just about all gift shops carry an array of different character style Minnie ears and Disney hats. Let your hat show your personality! There are a few things that I use all the time, my Mickey cookie cutters and silicone molds. 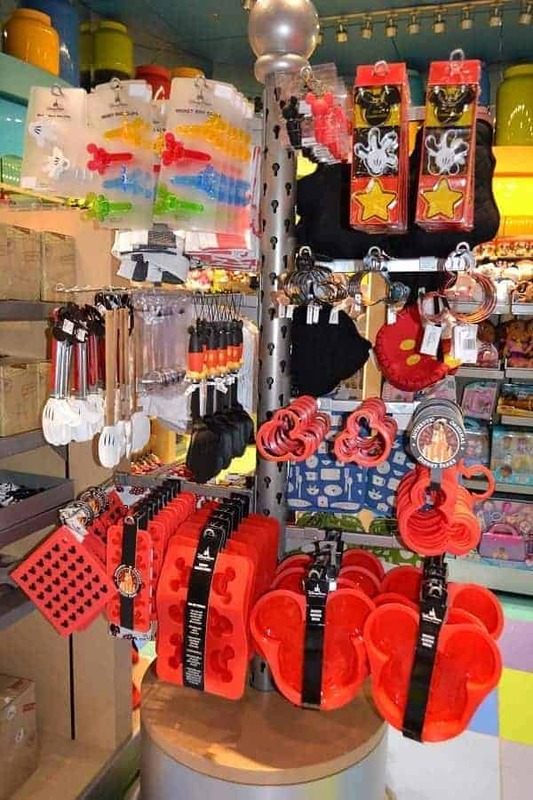 These types of items make great souvenirs because you can take a little bit of that Disney magic that you had on your trip and bring it home with you! Each time we stay at a new Disney Resort, we pick up a Disney Print of that resort. These prints are beautiful and are a way for us to bring a little bit of Disney into our own home! You can find some Disney themed mugs in other places, but you can only find Disney Starbucks mugs at the park. 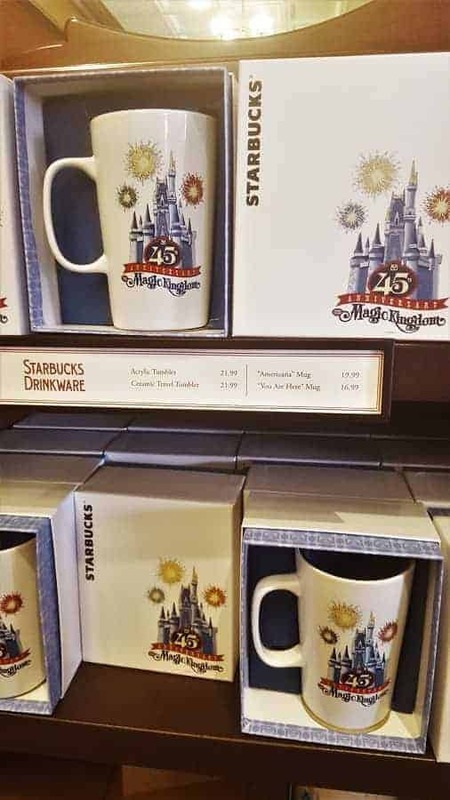 Each Disney theme park has a Starbucks with its own special Starbucks Mug and then there are Walt Disney World themed mugs at all four theme parks Starbucks locations. If you are a female and want something special to mark your trip to Disney or even your love of Disney, one of my favorite Disney souvenirs are Alex & Ani Disney Bracelets. These bracelets are so pretty and are pretty reasonably priced for their quality. 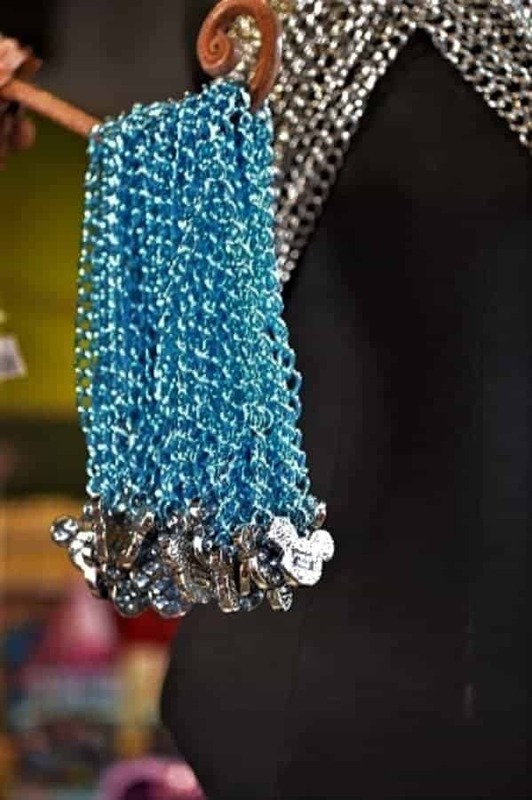 They come in an array of Disney themes and because you can wear more than one at a time, you can get one to mark any special occasion or just to show your love of your favorite character! 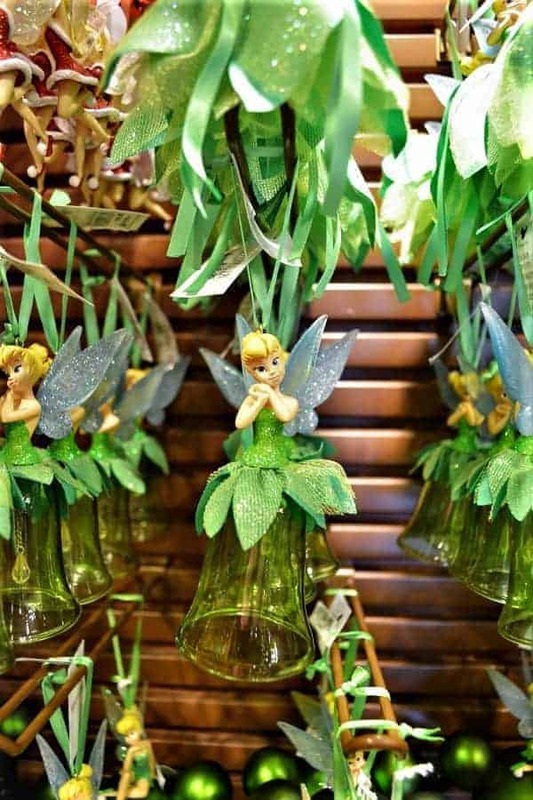 No matter which park you go to, you will have no problem finding Disney ornaments! You can choose your favorite character, resort or even ornaments that focus on something you love like a sport or activity! Some people get a Disney ornament that has the year they went to Disney. Each time you see it, you are sure to remember your trip. You can buy Disney plushes anywhere, but you will only find Disney Character Pillow Plushes at Disney! The selection is amazing and all kids love these soft and fluffy pillows! No matter what souvenir you choose to buy at the Disney parks, be sure you choose something that will help remind you of all the fun you had and memories that you made! What are your favorite Disney Souvenirs? You wouldn’t think it, but my favorite Disney souvenir is a pack of cards. I like to play card games, so every time I play, I think of my Disney vacation or planning another. That is a great souvenir! Cards are great to have while staying at Disney too. Also if you plan on pin trading you should look at Ebay before you go. We always buy a set of 50 pins off of Ebay before we leave. It usually costs us like $20-25, which is a lot less than the $5+ per pin you will pay in the parks. Once you get the pins from Ebay you can pick out which ones you want to keep and use the rest for trading while on vacation. I love my apron, spoon rest, coffee mugs, and measuring spoons. Also any ornaments are great. The pillow plushies are sold online, too. I found them on the Disney website, Pillow Pets website, and even on Amazon. Although I’m sure there will be different selections and more variety on property, just know there are several available on the web. My favorite souvenirs are Christmas ornaments and kitchen supplies. The classic mouse ears cookie cutter is great for so much more than cookies! I always get a magnet while on vacation. It is an inexpensive souvenir that is a constant reminder of our vacation. I also get an ornament, but those have already been mentioned. I like to get a glass with my name etched on it! I use mine all the time!